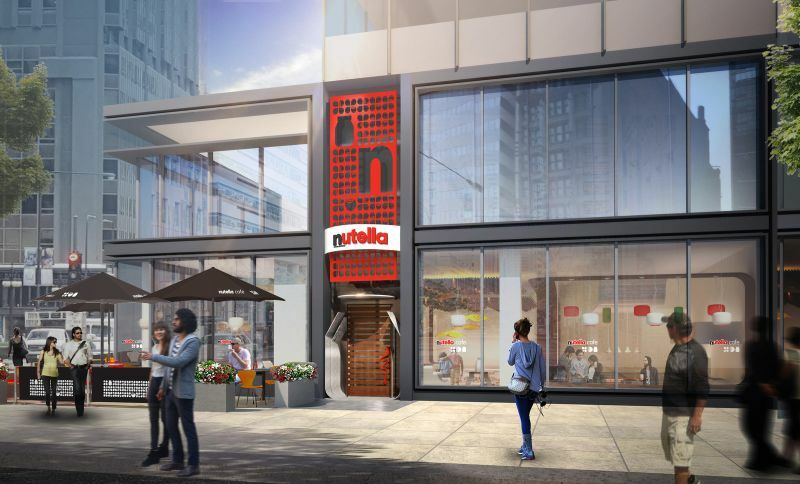 Fans of Nutella might want to make their way to Chicago where Ferrero, the makers of the famed hazelnut spread, just opened the Nutella Cafe. Located at 151 North Michigan Avenue, the new cafe features an array of menu items featuring Nutella such as grilled baguettes with Nutella, fresh-roasted hazelnut and blueberry granola with yogurt and Nutella, Nutella with waffles, and various baked goods with Nutella. It's not all chocolaty hazelnut all the time though, the new spot also serves various savory items including panini and salads. The new Nutella Cafe is open Monday to Thursday from 7 AM to 9 PM, on Friday from 7 AM to 10 PM, on Saturday from 8 AM to 10 PM, and on Sunday from 8 AM to 9 PM.